Roger Bland has placed his paper on 'The Portable Antiquities Scheme and Treasure Act: the Current Situation' given at the Museums Association March 2015 Dig It: Museums and Archaeology Conference online. This was found by a metal detector user who reported it to one of our FLOs who was able to establish exactly where it was found. 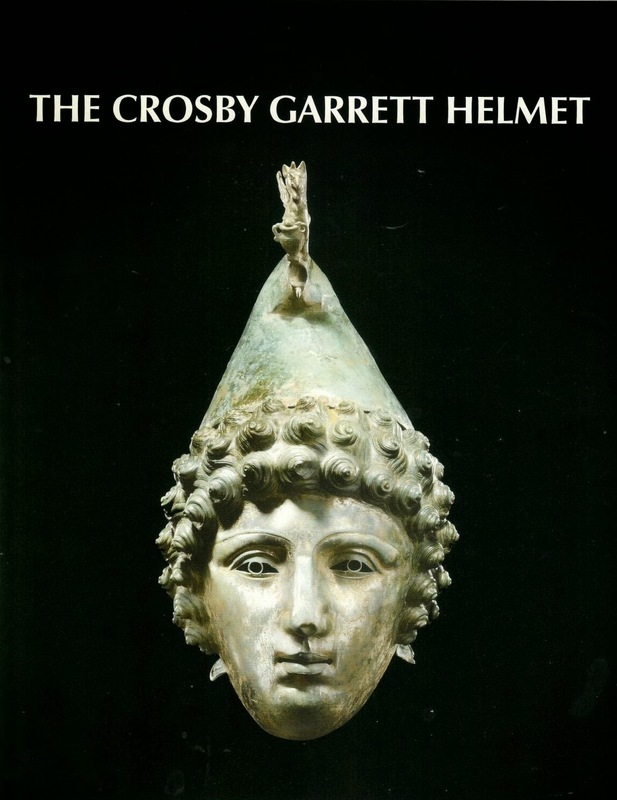 I have discussed this helmet in print elsewhere (available online). Bland does not draw attention to the fact that the two FLOs [not one!] were not shown the reported find spot for some three months (i.e. on 30 August 2010). This at least proved that the object had come from Crosby Garrett – some people commenting on the web had doubted that – and that it had a context, as it came from a so - called `native’ settlement. The immediate context of the helmet remains difficult to pin down: it seems to have been buried below a rough stone floor, though whether that belonged to a building, a road, or possibly a cairn is unclear. I have discussed this investigation and I found that the evidence was not compelling. Four days before Christmas the Finds Liaison Officer (FLO) for the Portable Antiquities Scheme in Bucks was invited to record the finds made by detectorists at a metal detecting rally at Lenborough, just south of Buckingham. Within half an hour of arriving and setting up her recording table, news came that something interesting had been found! As the light went at the end of the day a hoard of more than 5,000 silver coins, wrapped in a damaged lead parcel, had been excavated. The coins had been piled onto a thin rectangle of lead sheet with cut edges. The longer edges had then been lifted and folded over on themselves and the ends pinched together to make an elliptical parcel. Through the damage on the upper surface a tightly packed, jumble of coins could be seen. They did not appear to have been laid in any order and there was no trace of, or room for them to have been in leather pouches. This was a rescue job and Ros, as our sole FLO at event with about a hundred metal detector users, did a heroic job in the circumstances and ensured that all the coins were recovered. This hoard has been discussed on LM before. In particular there is the issue of the historic nature of the location where the rally was held. And what about the less than orthodox removal of the coins, in contrast to the Beau Street Hoard that was removed in a scientific way that has allowed detailed study and interpretation? Bland has only placed his notes on line and not his refined final views. But his online presentation appears to overlook some of the key issues relating to both these 'finds'.